This collection is named after the Lys River because of its clarity, simplicity, utility and beauty—all characteristics of the river that runs through France and Belgium. A terrific set to use every day, these glasses are tempered. The mechanical and thermal resisting properties are considerably increased to other ordinary glassware products. The Lys Plate is the perfect weight, functional yet stylish and feels extremely comfortable in the hand. They are equally suitable for cold or hot food, conveniently stackable, impact and chip resistant, microwave and dishwasher safe. With the help of continuous investments and commitment to quality, Duralex has reached a level of excellence that makes its products recognized throughout the world. 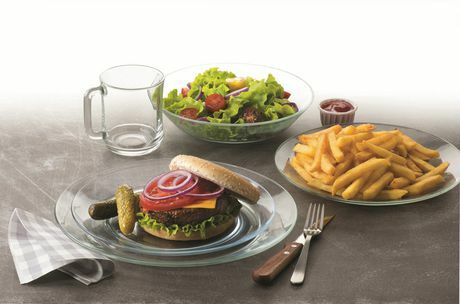 Duralex is and will always remain a true French manufacturer of glassware and tabletop products, and is the only glass manufacturer who makes 100% of their products in France.